The USS Essex was built in 1874. She was designed by Donald McKay, the famous clipper shipbuilder. In 1917, she was transferred to the Duluth Naval Station and was used for a receiving ship for the Naval Reserve until sometime in the 1930s. She was decommissioned, burned, and scuttled off Park Point. 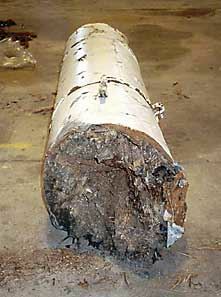 Many artifacts were removed including a mast that ended up at Camp Perry, Ohio, where it was used as a flagpole for many years. 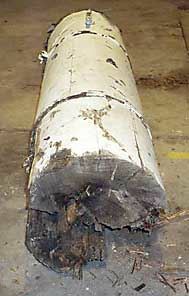 Several years ago, a tornado blew down the mast and it was stored inside a warehouse until its status could be determined. The PIB committee of the GLSPS has made arrangements to bring a section of the mast back to Minnesota and is working with the Minnesota Historical Society, the Lake Superior Maritime Visitor Center, and the City of Duluth to determine to best way to preserve and display the mast section. A plaque will be included that tells the history of the USS Essex. Mast section is 7 feet long and clad in galvanized steel. 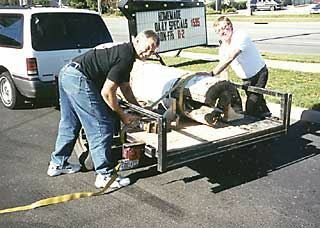 Last October, several GLSPS members went to Camp Perry, Ohio, to bring back the mast section. The Great Lakes Maritime Visitor Center has agreed to display the metal bands along with some of the small wooden pieces. GLSPS is working with the City of Duluth to determine an appropriate display of the mast section at a suitable location on Park Point. The Minnesota Historical Society has offered assistance in recommending preservation techniques for the mast section. 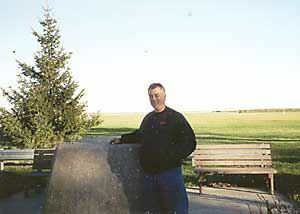 Tom Brueshaber (GLSPS Secretary) stands next to the concrete base the once held the Essex mast that was used as a flagpole. 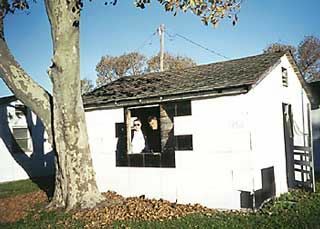 Steve Daniel (GLSPS 1st VP) and Tom Brueshaber inspect one of the huts that was used by German and Italian POWs during WWII. 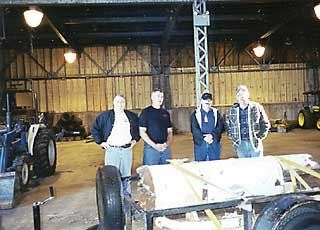 (from left) Steve Daniel, Tom Brueshaber, Lt Col Ralph Green (State Administrator), and Steve Clabaugh (Superintendent) stand by the mast section after it's been loaded onto a trailer. Hand-forged iron bands that once held the topmast to the main mast are by its side. Tom Brueshaber and Ken Knutson (GLSPS Treasurer) tighten the straps holding down the mast section before its journey back to Minnesota. 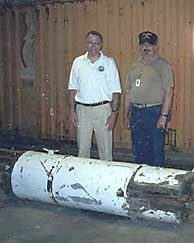 The mast section is now in storage until the historical marker can be created at Duluth, Minnesota. Smaller parts of the USS Essex mast section have been donated to the Lake Superior Maritime Visitor Center in Duluth, Minnesota. The mast stay ring, band, and other parts will be housed in a future display at the Visitor Center. 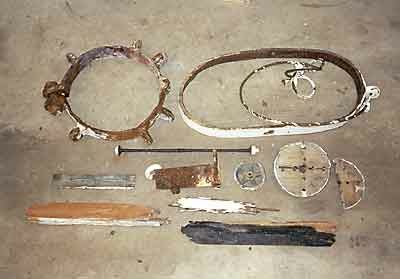 Iron ring that held mast stays, iron band that held topmast to the main mast, and iron bolt, brass curved plate, iron eyebolt and hinge, brass pulley, wooden mast tip and two pieces of the mast. 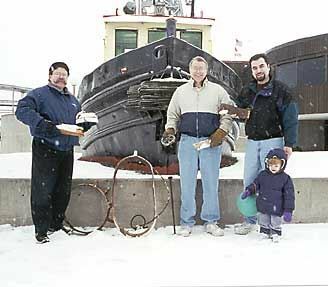 (from left) Thom Holden (LSMVC Director), Steve Daniel (GLSPS 1st VP) along with Corey and Abby Daniel holding parts of the USS Essex mast in front of the Visitor Center.